Prairie land once dominated the Midwest, but today prairies are one of our most endangered habitats. The rich prairie soils of America have gone from being a diverse community of plants and animals to becoming farmland for growing corn, soybeans or wheat. Many of the prairie lands found today are what are called “restored prairies” (land replanted with prairie plant species). I have worked on a restored prairie since 1996, and can tell you that beauty is very subtle on a prairie. However, if you spend the time enjoying the diversity of grasses and flowers, I think you will find “magic of the prairie”. 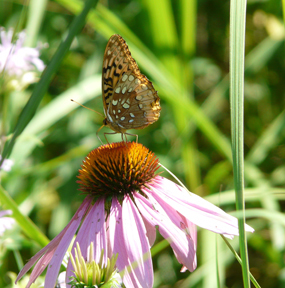 What to do: Click on the “Start” button below to take the Prairie Flowers Quiz. Read the description of each plant and then guess its name. There are many species of this genus that bloom during a prairie summer. Some species grow in dry areas, while others prefer more moisture. This plant ranges from 2 to 5 feet high. Many species of butterflies are attracted to it's flowers. This plant grows to a height of 4 feet. It is in the mint family and when the leaves are crushed they smell like licorice. The leaves make a tasty tea. It blooms in mid-summer. 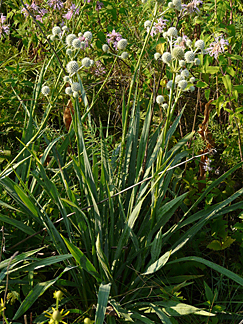 This plant blooms in early summer and grows to a height of 2 feet. 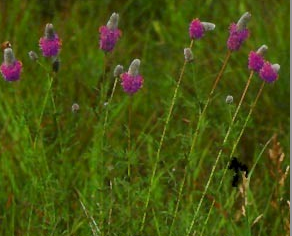 It is found in dry prairies and is drought tolerant. The plant has multiple stems while roots grow as deep as six feet. This is an attractive plant to insects and people. Native Americans brewed a tea from the leaves and ate the roots raw. This beautiful plant blooms early summer and grows to a a height of 3 feet. 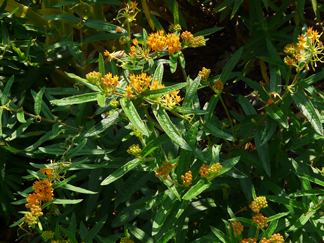 This plant is in the milkweed family and monarchs lay their eggs on it. 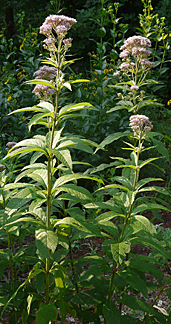 The roots of this plant were used to cure pleurisy by Native Americans and European settlers. It creates a beautiful seedpod that releases seeds in the fall. 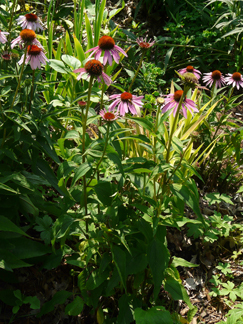 This plant, is also known as Echinacea and blooms in July. 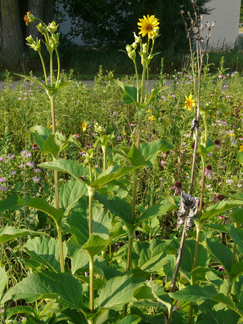 It grows to a height of 4 feet and has multiple stems. It is a favorite plant of gardeners and herbalists. Herbalists use this plant today to improve the immune system. In addition, the seed head is so stiff that Native Americans combed their hair with it. It was also mainly used to heal rattlesnake bites. This plant grows up to 4 feet tall. Its seed head is dark and has a strong scent when crumbled. Birds and butterflies are attracted to this plant. 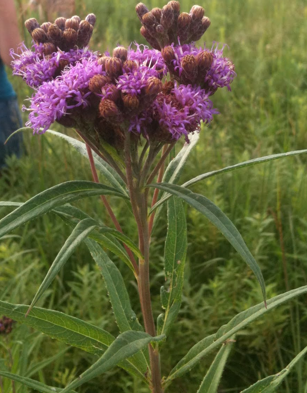 This plant is up to 6 feet high and is found in moist prairies. It blooms in mid- summer. A medicine man named used the plant to cure typhus. It is also called “gravel root” for its ability to expel kidney stones from the urinary tract. 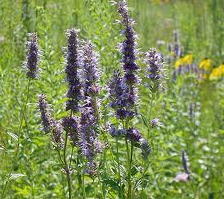 This plant has a number of names including: bee balm, horsemint, and sweet leaf . It grows up to 4 feet tall and blooms in mid-summer. 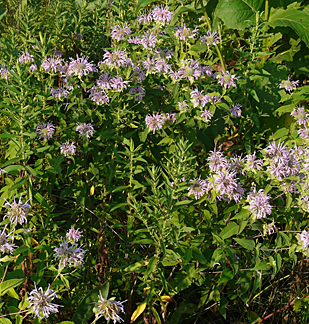 It is in the mint family and is an important herb in Native American medicine. It is also a natural perfume that was used as a love charm. This plant grows up to 8 feet tall and grows best in moist areas. It blooms in July and the flower is similar to a sunflower. The leaves are joined around the stem and hold water. Birds and insects are attracted to the water in the plant and pollinate the flowers or spread the seeds. This plant grows in dry prairies. It gets up to three feet tall. the leaves have little hairs on them and are bitter tasting. It is not usually eaten by animals. This plant gets up to 3 feet high. It's leaves are needle-like and were used to make rope by Native Americans. 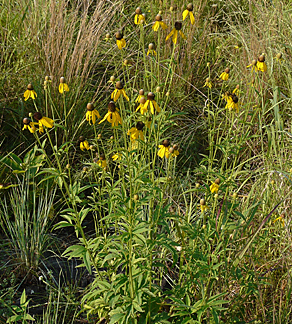 The plant is an indicator of a good quality prairie. Many types of insects are attracted to the flowers. 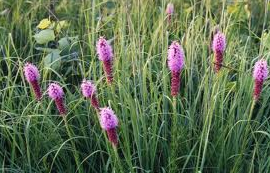 It is a medicinal plant and its name indicates how Native Americans used it. 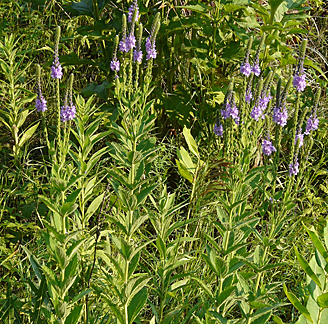 This plant normally grows in wet prairies and blooms in August. It grows up to 4 feet tall. It has small teeth on the margins of the leaf and is not eaten by animals. It gets its name from the densely packed roots that forms offshoots of new plants. The roots were dried and used to reduce fevers. Many types of insects pollinate the flower. "You are spending too much time on Facebook and need to get out in the weeds." "The prairie is calling to you. "Spend more time learning my plants" ". "You know some of the prairie flowers, but you need to put in more time studying them." "Definitely a prairie seeker! Congratulations!" I could also use it to educate those on our prairie bike/walking trail. we will have a kiosk where I could place them for their use.